Renowned American singer and actress Lisa Simone will perform on the 11th of August of this years Nišville jazz festival. Lisa Simone is the daughter of late and great jazz, soul-rhythm, blues singer and fighter for civil rights, Nina Simone. With this performance, Lisa will commemorate her mothers 85th birthday, as well as her entry to the Rock n’ Roll Hall of Fame. 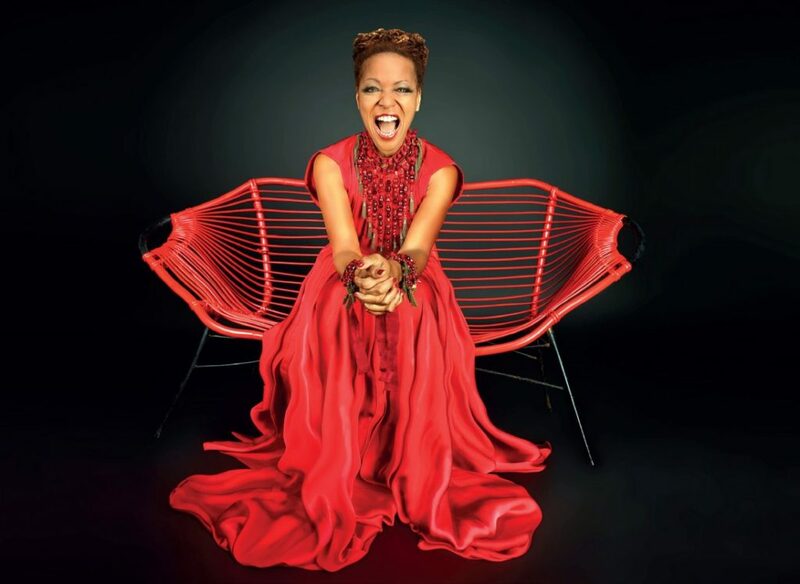 Through past couple of decades, Lisa Simone has shown that she is a performer by her own merit. As a singer, she performed on numerous prestigious venues like „Karnegi Hola“ in New York, the „Lincoln Centre“, „Town Hall“, the „Sydney Opera“ and „Olympia“… commonly alongside the great female vocals such as Dianne Reeves, Angelique Kidjo, Odetta, Lizz Wright and Tracy Chapman. She was the headliner for many great Jazz festivals (Montreaux, North Sea, Marciac, Telluride), and also produced five solo albums: „Simone Superstar“, „Simone on Simone“, „Lisa Simone with Tromsø Big Band: Live at the Edge”, “All Is Well” (which made it to the 4th place on the FNAC jazz list), and “My world”(2016). She participated in the recording of the soundtrack for the Tyler Perry movie “For Colored Girls”, and she was the co-producer, and one of the participants in the “Netflix” documentary about her mother “What Happened, Miss Simone?” which was nominated for an Oscar a couple of years ago. Another, quite interesting, accolade of Nina is that she served as an engineers apprentice in the US Airforce in a brigade in Germany. Along with that she started singing, and performing as a back vocal to various European musicians, she also went on tours as a part of a Spanish musician choir “Rafaela”. However, she received her big break on Broadway, where she debuted as her Soul Sister role in the famous Andrew Lloyd Weber musical “Jesus Christ-Superstar”. Her next role was in the year 1996. in an original Broadway lineup of rock musicals (inspired by Puccini’s “La Boheme”) “Rent”, and later that year she would go on her national, year and a half long, tour performing the main role (Mimi Marquez) for which she was nominated for the prestigious awards “Helen Hayes” and “Jefferson” respectively. 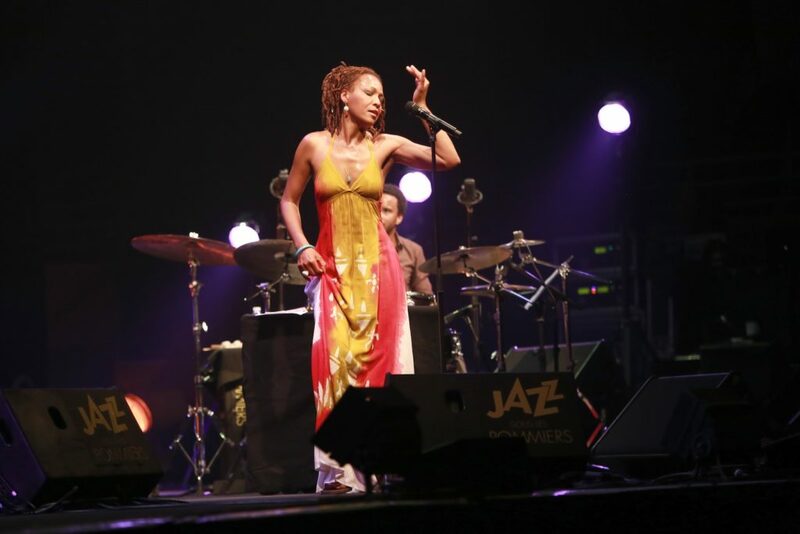 She made a short break from Broadway when she joined an acid jazz group “Liquid Soul” with whom she went on tours and has recorded two albums, out of which “Here’s the Deal” was nominated for the “Grammy” award of the year 2000. Her return to Broadway was even more successful: Main roles in Disney productions such as “Aida” as Aida and Nala in the legendary “Lion King”. For the role of Aida, she received the “National Broadway Award for the best actress in a Musical”. With that show, she went on an American tour, and after that, she went on to play in the New York’s own “Palace Theatre” for which she got highest reviews in the topic-centric magazines (Variety, Billboard). Lisa has remained in that production (but also while guest starring with the same role in the “Muny Theatre” in Saint Luis) up until the tragic passing away of her mother in the year 2003. She has returned to Saint Luis three years later starring a role of Fantine in the Musical “Les Miserables”. Nisville organizers are currently in the talks with Mrs.Simone about a possible acting workshop alongside her musical one. The “Gipsy Kings” are the closing group for this year’s Nišville!